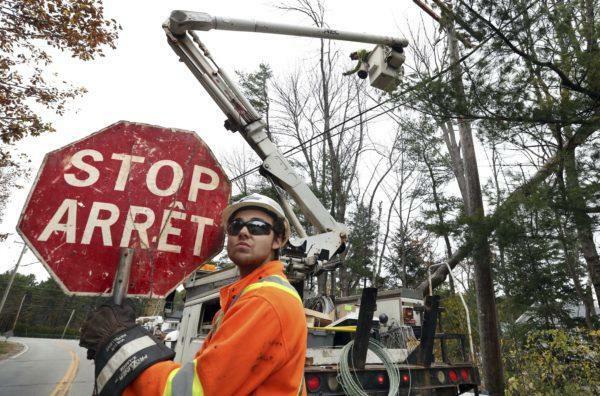 Canadian lineman Noah Clowater holds a bilingual stop sign while directing traffic while his coworkers restore power, Wednesday, Nov. 1, 2017, in Yarmouth, Maine. The devastation caused by Hurricane Michael is yet another reminder about the importance of being prepared in case a disaster strikes. Join us for a conversation about how to get ready for emergencies that may or may not happen.